In WordPress, a Theme is the style or “look and feel” of your website and can be easily changed at any time. The default theme is the official UCI branded theme from Strategic Communications. We also have several more for you to choose from, if that does not meet your needs. 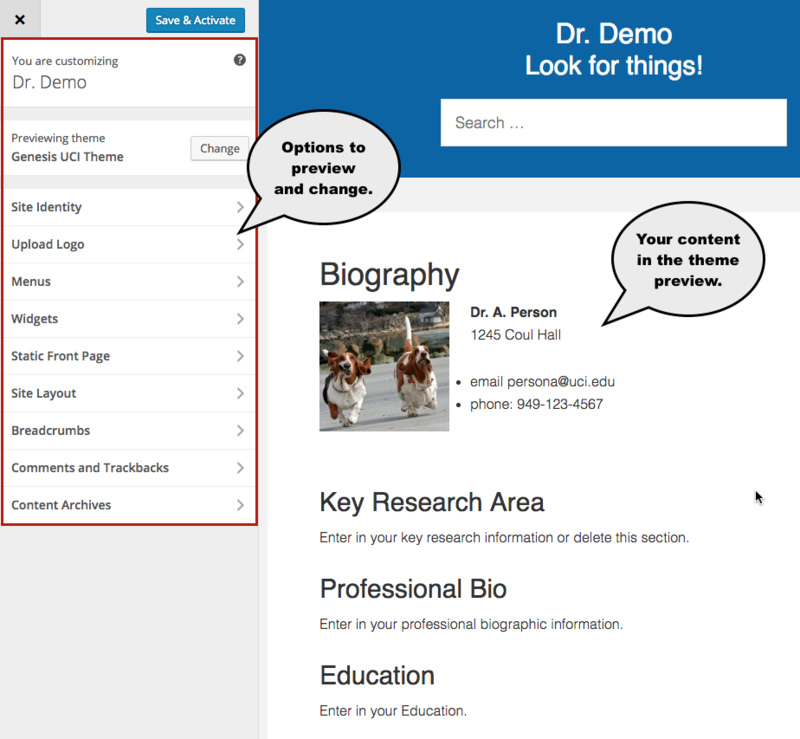 WordPress allows you browse and try out themes before you commit to using them. From the Admin menu, select Appearance > Themes. 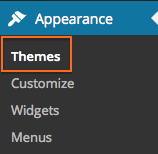 On the Manage Themes page, you will the available themes. 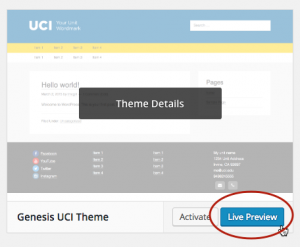 To preview a theme, hover over the theme and click Live Preview. 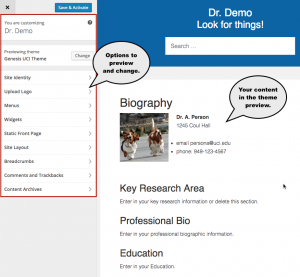 You will see your site’s content displayed in the new theme. Live Preview also allows you to change some of the theme options like the Site Title, Colors, Header Image, Background, etc. If you like the theme you are previewing, click Save & Activate. If you want to keep looking, click Cancel.